Founded by Martin Brown, Select Basements has established itself as one of the leading providers of waterproof tanking systems in the UK. We offer affordable and reliable basement construction and conversions to the home. We Cover Alderley Edge, Altrincham, Ashley, Broadheath, Bowden, Hale, Hale Barns, Sale, Styal, Tatton, Timperley, Wilsmlow and most other areas in and around Cheshire. Is to help each of our customers learn just how easy and affordable it can be to transform an unpleasant basement into a stylish and functional space. With our innovative basement renovation solutions, we can bring your vision of a fully usable basement to life in no time, so it’s time to start planning out how you want your new space to look! 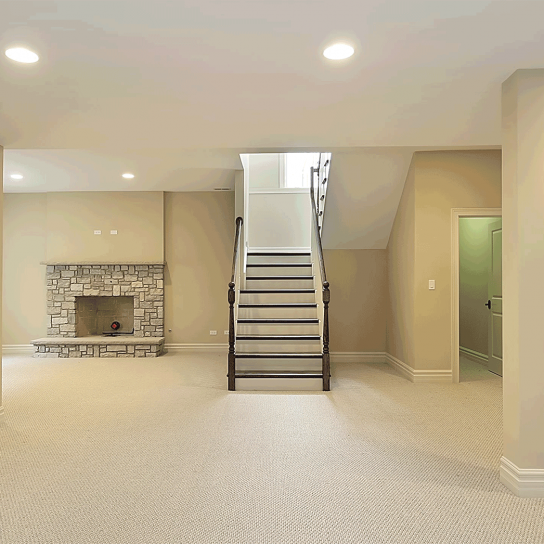 If you want to add space to your home, basement remodelling is the simplest and least expensive way to go. It’s much less expensive to remodel your basement than to add rooms or floors. Most homeowners turn remodelled basements in hobby rooms, home offices or media centres, but there’s no end to the possibilities. My basement is dry so why does it need waterproofing? The term dry is used loosely and often refers to the visual appearance of the basement. All materials that make up a building contain some moisture. In addition, the fact that the basement is partly/wholly underground means that some of the walls are earth retaining. The earth gets wet due to rainfall and some of this water enters the structure of the basement. In a well-ventilated basement, this moisture is often removed to the outside of the building. When you renovate a basement without waterproofing it the moisture will be trapped behind the new wall and floor surfaces and start to degrade them almost immediately. No. We will protect your driveway/garden areas. Not normally. All the work is usually done without disruption to the rest of the property.